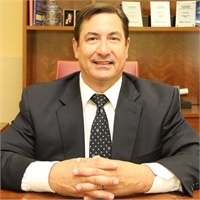 John N. Terzis, is currently the President and CEO of Oakton Investment Management. After receiving his bachelor of sciences degree from the University of Wisconsin-Madison in Economics, he started his career with a financial planning firm, learning all aspects of the financial planning process. With over 29 years of experience in the industry, he actively manages assets for a wide range of clients, many who have been with him since the start of his journey. John’s next career move was to take his financial planning knowledge into the banking industry, where he gained a reputation of honesty and integrity. Based on his success, he was promoted to management, where he earned his registered principal’s license and managed a large group of financial advisors, while continuing to grow his client’s assets. In 2002 and 2003, John was honored with Raymond James Financials Leaders Council for demonstrating an unparalleled commitment to personal service and professional integrity. In 2003, Raymond James asked John to speak at their national conference and share his approach and success of his banks number one ranking with his colleagues. John has been interviewed and quoted in industry publications. John joined LPL Financial in 2008. In 2014, John applied his successful experiences and founded Oakton Investment Management. Even in the midst of market volatility and world turmoil, as a result of John’s earned trust and sound fundamental strategic investment management, he has grown his client’s assets with LPL Financial each year.